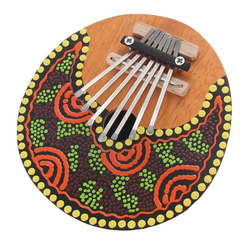 Home › Keyboard Instruments › Piano › KOKKO Kalimba Thumb ..
not in any kind of tune, but my 3 year old nephew loves it! Hand crafted. Well built. Great sound. Artwork by hand. Easy to hold and play.